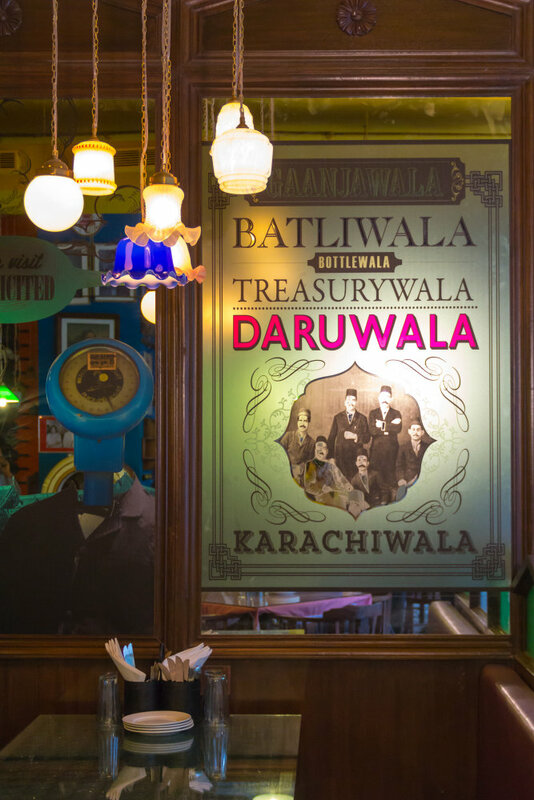 Head to this new eatery for a platter of mouthwatering Iranian dishes and a good laugh! 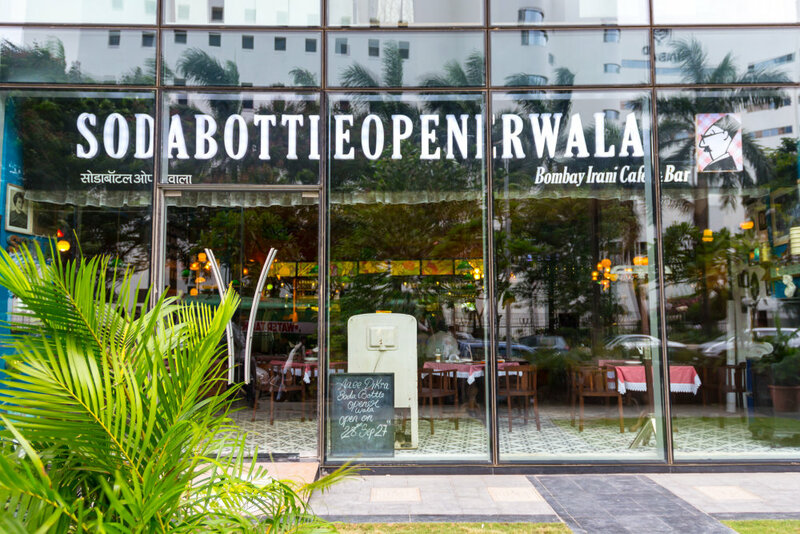 For great Parsi food (some of it with a twist of humour), Bombay street food, some Irani dishes, a great vibe, retro tunes from a jukebox, a fun bar and amazing service, visit this week’s most exciting restaurant opening, SodaBottleOpenerWala at the Bandra Kurla Complex, in Mumbai. Restaurateur A. D. Singh and the Olive Group has endeavoured, with this chain that has already seen great popularity in Delhi, Gurgaon, Bangalore and Hyderabad, to recreate and pay homage to ‘the dying legacy of the wonderful, chaotic, crowded, bustling, colourful, quirky, cluttered, eccentric and so-real world of an Irani restaurant’. This is a very stylised, modern version of course, with colour, humour and eccentricity being perfectly created by architect Clement DeSylva and Sabina Singh. It seems quite appropriate in this atmosphere to discover, mid-bite, that a toy train on a suspended rail has been slowly chugging along over our heads. 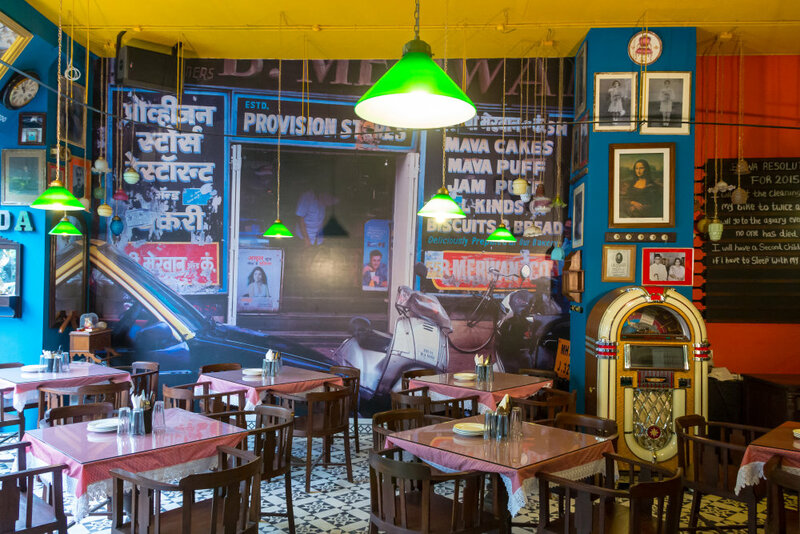 Large mirrors, domed lights from Chor Bazaar, antique-style tiles and the ubiquitous instructions on the wall — No Laughing Loudly. No Singing. No Childish Tantrums. No Talking to Cashier. No Asking for Recipes. No Feet On Chair. No Flirting. No Flatulence – evoke spontaneous laughter as well as a certain nostalgia. The star here is the food. Mohit Balanchandran, brand head and cuisine director, has recreated dishes from the Irani restaurant menus of yore, giving it a contemporary twist. Young chef Anahita Dhondy, started her journey with the first opening at CyberHub, New Delhi. In Mumbai for the launch, she mentions that in Delhi she went from table to table explaining the intricacies of Parsi food. 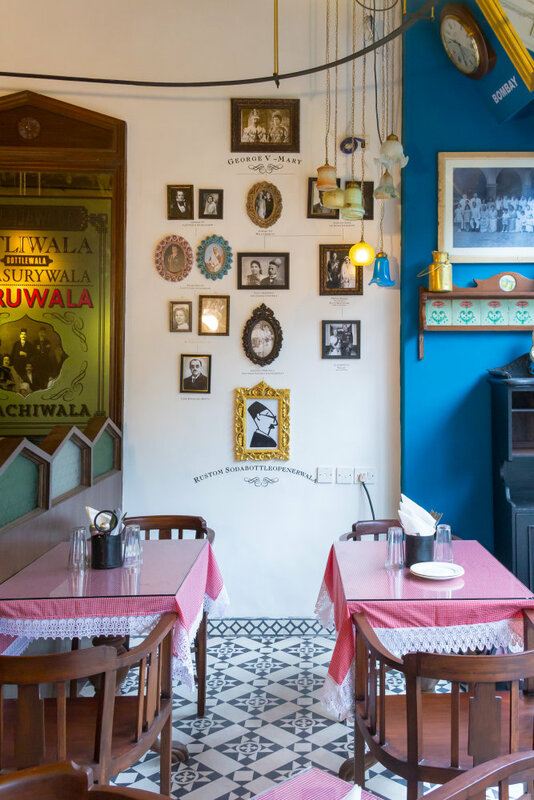 Mumbaiites of course need no introduction to a cuisine that has been close to their hearts, from the covetable dhansak to kolmi no patia, fare that is dished up at the restaurant. Having settled down with a raspberry soda, a delightful version made of frozen raspberries, we delve into some scrumptious starters. The chicken baida roti is tender and crisp, the tarelli macchi is not fried at all and therefore a great choice but my favourite of all is the kolmi fry which reminds me of an onion bhajia with a prawn tucked in. It is delicious. For the mains, the berry pulao is a must, the Bhendi Bazaar sheekh paratha combines moist sheekhs with crisply-fried paratha, while the Bohri kheema pao couples spicy mince with the softest, buttered bread. The vegetarian section includes Aloo Aunty’s vegetable cutlet, Breach Candy awesome okra, inspired by the famous okra dish at Breach Candy Club, Tardeo AC Market Mamaji’s grilled sandwich, Bombay raasta sandwich, Bharuchi paneer akuri, among many other colourfully named specialties. Chef Darius Madon, ‘a pukka Parsi’ helms the kitchen at SBOW Mumbai supported by bakery chef, Akshata Karkaria. He is at this moment offering a selection of desserts that tempt, even though we seem to have eaten our full. The lagan nu custard is light and perfect, the chocolate brownie with ice cream comes soft and hot, the pound cake is melt-in-the-mouth. This has been a good meal for sure. Even as you enter the restaurant, you can tell that this is going to be a fun place. You will not be disappointed and I am not surprised that on this, the third day after opening, the space is already full and rocking.